For the temperature test of the agent in combination with the propellant in the aerosol can. Test of the product regarding the change of the agent, regarding the tightness of the valve, as well as of the spray head and regarding corrosion of the metal receptacle. 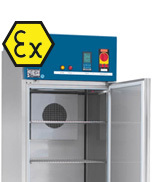 Safety Line with extension of the temperature range +80 °C, reinforced shelves and technical ventilation, if required. 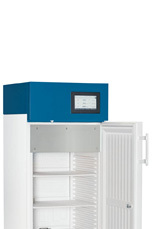 For storage of solvent-based substances at defined temperature conditions in development and quality control. In test rooms of zone I the maximum admissible duration of an explosive atmosphere is 1,000 hours. Otherwise, an additional technical ventilation is required. Safety Line with technical ventilation, if required. For curing of solvent-based adhesive compounds under defined temperature or climatic conditions in development or quality control. 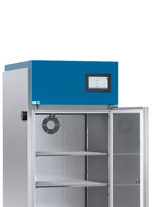 Thus, the curing times in different climate zones can be determined in the explosion-proof climatic test cabinet. 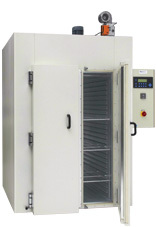 Safety Line with humidification and dehumidification and technical ventilation, if required. 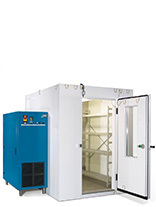 For verification or determination of the minimum processing temperature and the maximum air humidity, for determination of the drying conditions, of the minimum storage temperature of paint, as well as for examination of the adhesiveness in case of formation of condensation water between substrate and finish paint (cross-cut adhesion test and bending test). 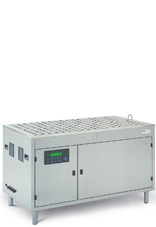 Safety T Line with humidification and dehumidification and technical ventilation, if required.